Ready, Set, Blow… | Do the twisted. Many times we’ve been in a situation where we learn it is someone’s birthday. Upon this discovery, we usually respond with a playful punch on the arm paired with an enthusiastic, “Oh it is?! Well happy birthday you old dog!” So typical. 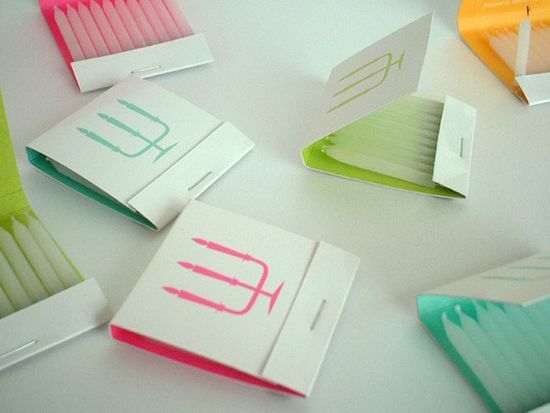 How much cooler and memorable would it be if you whipped out these cute, innovative candles packaged as matches and offered an instant celebration instead? 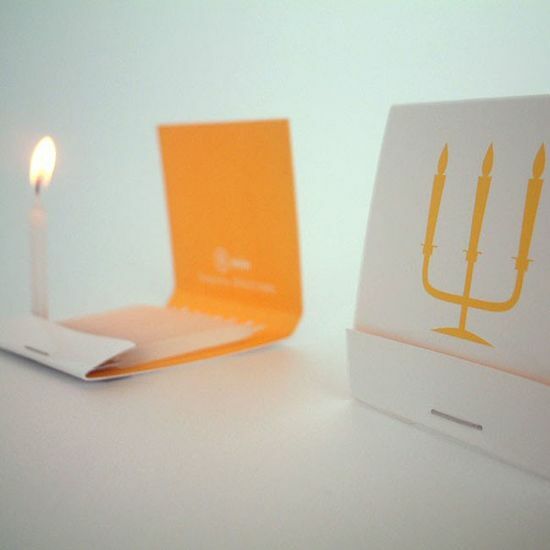 You can light them attached or break them off to put on a cake. Either way, lighting one up would be an easy, awesome way to brighten someone’s day. Of course, you don’t have to use them for birthdays. You can set the mood during a job interview or even light up a bear cave. The choice is yours. However, I think carrying one around to wish happy birthday to people you encounter, even complete strangers like the bag boy, is the best way to go. Designed by Zinoo Park. Sold by Poketo. Pack comes with 4 books in blue, yellow, pink, and green.